Pfizer Inc issued the following announcement on June 27. 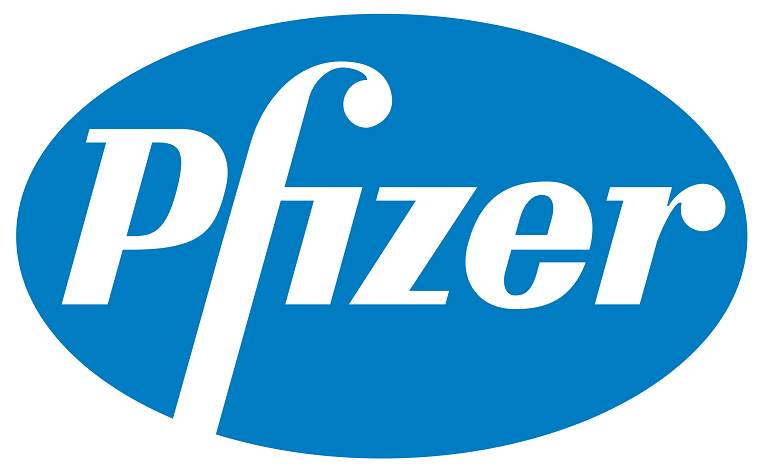 Pfizer Inc. (NYSE:PFE) today announced that the U.S. Food and Drug Administration (FDA) accepted the company’s New Drug Application and granted Priority Review designation for glasdegib, an investigational oral smoothened (SMO) inhibitor, being evaluated for the treatment of adult patients with previously untreated acute myeloid leukemia (AML) in combination with low-dose cytarabine (LDAC), a type of chemotherapy. The submission is based on results from the Phase 2 BRIGHT 1003 study, a randomized, open-label, multicenter trial investigating glasdegib combined with LDAC (n=88) versus LDAC alone (n=44) in 132 patients with previously untreated AML or high-risk myelodysplastic syndrome (MDS) who were not eligible for intensive chemotherapy. Results demonstrated a significant improvement in the primary endpoint of overall survival (OS). Median OS was 8.8 months for patients treated with glasdegib plus LDAC compared with 4.9 months for patients treated with LDAC only. This difference represented a 49.9 percent reduction in the risk of death for patients treated with glasdegib plus LDAC (HR: 0.501, 95% CI: 0.334, 0.752, one-sided p-value 0.0003). The BRIGHT 1003 results were presented in 2016 at the 58th American Society of Hematology Annual Meeting. The most frequently (≥30% of patients) reported adverse events (AEs) in patients treated with glasdegib plus LDAC compared to LDAC alone were anemia (45% vs 42%), febrile neutropenia (36% vs 27%), nausea (36% vs 12%), decreased appetite (32% vs 12%), fatigue (31% vs 20%) and thrombocytopenia (30% vs 27%). The most frequently (≥15% of patients) reported serious AEs for patients treated with glasdegib plus LDAC compared to LDAC alone were febrile neutropenia (29% vs 20%) and pneumonia (21% vs 17%).